(March 2005) Now that we seem over the worst of winter (blizzards, snow, ice and sleet storms)—or perhaps I am being a tad optimistic—thoughts are on planning spring and summer activities. For professionals within the industry, it’s a time to regroup and plan for exterior work. In Rhode Island, the excitement of an ongoing production for the Showtime Network of the recently acquire series, “The Brotherhood,” spells work for many as well as an ideal internship opportunity for many of our region’s college students. There seems a much healthier attitude within New England right now towards the industry and work does appear to be expanding. Perhaps an excellent gauge is the continued expansion of film festivals along with several excellent programs providing hands-on experience to learn the ropes. From programs specializing in editing; camera technique; directing; to pitching a script, there are numerous opportunities to learn the craft of filmmaking in small painless day or weeklong sessions. In am particularly fond of one unique program called “KidsEYe™” which was created to provide youngsters from ages 8 to 15 with an introduction to the world of film. A labor of love for those who create and run it; it occurs only once yearly; follows the guidelines of the American Camp Association; and was never designed to be a cash cow exploiting youngsters and their families with substandard or derivative programming. Now some truth in advertising: I created the original program and taught the first classes. But, it has taken on its own life with an energetic staff who have brought their own vision which has kept it fresh and having distinct voice heard by the young participants. Now heading into its seventh year, the popular summer filmmaking camp got its start through a event held in Pawtucket when the Providence Convergence Arts Festival presented sidebar programming throughout the state of Rhode Island. Held over a two-day period, KidsEye™ gave area youngsters a chance to learn simply camera techniques and provided an opportunity to participate in a video shoot out. From this simple event, spurred through the enthusiasm of Bob Billington, President of the Blackstone Valley Tourism Council, KidsEye™ grew into an original summer camp program that drew youngsters from all over the country to attend a one-week intensified filmmaking camp. During the camp experience, students participate in specialized classes designed to give them “hands-on” experience and a backstage look at the fascinating world of filmmaking. Staff is comprised of area professionals and educators who share their own real-life insights and experiences. Many are recent graduates of area colleges and universities, thus allowing for greater identification by the camp participants. Workshop segments include film production, screenwriting, storyboarding, shooting, editing, makeup and special effects. The principal goal of the KIDSEYE™ program continues to be the nurturing of students who aspire to understand more about this medium of self-expression. Current co-director of the program, Christina Mealey, talks about the national attention KIDSEYE™ has already received. Now that’s rather amazing for a program that focuses exclusively on kids and the media. Yet, with the advent of digital technology, cheap mini-DV cameras and home computer editing applications; it’s easy to understand why so many young people would be drawn to the medium. And, it’s also easy to see why they are so in touch with the language of film at an increasingly younger age. The KidsEye™ camp always takes place in the month of July. Many families plan their vacations to enable their children to participate. With the camp held on the beautiful campus of the University of Rhode Island in Kingston, which has long been a sponsor, families have easy access to many of Rhode Island’s summer activities: beaches, trails, fresh water ponds, rafting, etc. Youngsters enrolled have the opportunity to attend workshops on screenwriting, storyboarding, acting, directing, makeup, costuming, editing and special effects taught by filmmaking professionals. Many are associated with RIIFF and come in from California or New York, specifically for KidsEye™. Then, campers will apply what they learned when they shoot their KidsEye™ movie during the latter part of the week. I recently spoke with Keith Brown, current co-Director of KidsEye™ about his vision of the program. 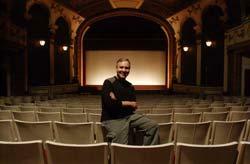 Keith began as an intern KidsEye™ prior to obtaining his Masters Degree in Film Studies from Boston University. An award-winning filmmaker in his own right; Keith has adopted the KidsEye™ program and has brought a unique perspective to its growth and direction. GTM: What do you think is so important about having this type of program available to youngsters? KEITH BROWN: I think this type of program is important because even though most kids today have access to video cameras and home computer editing systems, they usually don’t have the knowledge on how to shoot a movie so it can be assembled in a way in which it creates meaning for the audience. There are a lot of programs that are now offered in high schools, but they teach the technical aspects of filmmaking – how to work a video camera, how to use editing program. I believe that a visual aesthetic needs to be learned and I think we are able to integrate this into our program. Not only showing kids how to do something, but explaining the purpose and meaning of doing it that way. GTM: What do you think the participants gain from their participation? KEITH BROWN: I think kids really have a better understanding of what is involved in making a movie. It’s not just turning the camera on and having action unfold in front of it. It’s thinking about what types of shots you want and working with both technology (camera) and people (crew and actors) in order to create moving images for words on a page. I think the kids learn that you really need to work together to complete the shoot in the time allotted. And I think they gain a sense of pride from our public screening of their work. After all, that’s part of the process too. GTM: What did you learn from your involvement with this program? KEITH BROWN: I initially learned how to better work with children which helped me during the production of my film “Tough All Over” in which I directed many kids. I have since learned that kids can do this. With the proper tools and creativity any kid can make a film. And I’ve learned that many kids are interested in learning more about this, which is great. I wish I had the opportunity to do this when I was younger, but then again I have a lot of fun with my Super 8 camera. GTM: Tell us a bit about your interest in film. 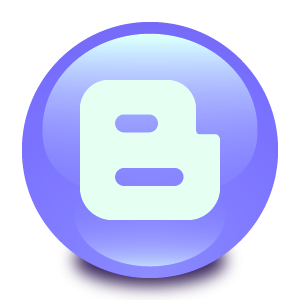 What were your sources of inspirations? KEITH BROWN: I am inspired by everyday events. The film that I’m working on now is a documentary about the crazy people who go shopping the day after Thanksgiving. I can call them crazy because I am one of them. I am also inspired by just watching people. Sometimes life is more interesting than anything you can make up. I shot a lot of 16mm footage at the beach this summer. I just love the way it looks. It’s really beautiful. Of course a good film or even TV show inspires me. GTM: What would you tell a parent, whose youngster wants to be a filmmaker, why they should send them to KidsEye™? GTM: …or to do an afternoon swim or unrelated physical to knock out any excessive energy that might be a bit difficult to manage for those who don’t have, like or even understand kids. KEITH BROWN: Don’t get me wrong, the filmmakers who come to KidsEye™ definitely have fun – but it’s the kind of fun you have when you’re doing something you think is cool and you are working with others to achieve a goal. I just love seeing the kid’s faces when they watch what they’ve made. I think we allow kids to work with equipment that they don’t have at home, we allow them access to filmmakers and professionals that otherwise they probably wouldn’t have access to. We really focus on the filmmaking process. GTM: With the introduction of digital technology and cheap accessible cameras, film now has become a very democratic medium, what do you think the future holds given where we are today? KEITH BROWN: I think it’s great that people have more access to these tools. I think it’s great that I can have a computer in my own home that allows me to easily work on my own projects. But like I said before, I think it’s a nice mix between technology and artistic vision. Just because you have a camera and a computer-doesn’t necessarily mean you can make films. Plus, it also forces me to learn how to trouble shoot computer problems, whereas a long time ago, that wasn’t a pre-requisite. But I think – or I hope – that this shift in technology will allow us to be exposed to work from people who otherwise would not be able to afford to do this. In a way, it gives a voice to those who many not have one. GTM: What would you like youngsters who participate in KidsEye™ to take away from the program? KEITH BROWN: I want them to know that filmmaking is hard work, but yet it’s so rewarding. And fun. I want them to be able to take what they learn at KidsEye™ and go home and apply that to their own projects. I want them to shoot movies and show them to large groups of people. And I think that they are very capable of doing that. Who are the principal players behind this cutting-edge program? Christina Mealey has years of experience working at and coordinating children's summer camps, such as the ACA Accredited Kent County YMCA, the YMCA of Greater Providence and Perspectives Corporation Youth and Family Services Day Camp. With a Bachelor of Arts in both Education and English, she teaches children of all ages in core curriculum areas, as well as in nonviolence and filmmaking. She began work at the Rhode Island International Film Festival as a volunteer in the summer of 2002 and subsequently became a Program Director of KidsEye™. She is thrilled to dedicate another year to KidsEye™, which allows her the unique opportunity to combine her passion for teaching with her passion for the art of self-expression. Keith Brown is a native Rhode Islander who first started making films as soon as he was old enough to borrow his parent's Super 8 camera. He holds an MFA in Film Production from Boston University. His latest film, Tough All Over, has screened at the Boston Cinema Census, the Antelope Valley International Film Festival, the Georgetown Indy Film Fes, the Syracuse International Film and Video Festival, FilmStock, and the Rhode Island International Film Festival. His previous film, Moving Pictures, was honored with First Place Student Experimental Film at the Columbus Ohio International Film and Video Festival, First Place Experimental Film at the University of Rhode Island Visualizations Film Festival and the Best of Festival Award at the University of Rhode Island Visualizations Film Festival. Keith is currently the Creative Director for Pro-Change Behavior Systems, a health research company based in Kingston, Rhode Island. KidsEye™is a very hands-on program and every year the program reflects the input of the campers and staff of professionals. To protect the integrity of the program and to provide one-on-one training, enrollment is limited to 30 campers. Registration is $325 and includes copies of the final produced work, hands-on writing and camera work, and the official KidsEye™ t-shirt. 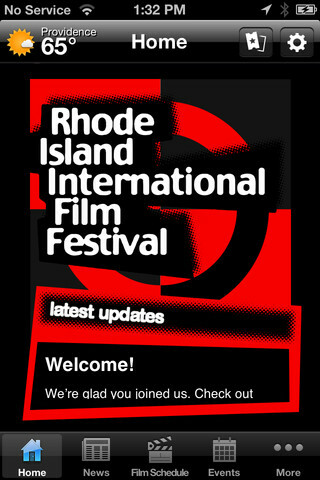 Plus, participants receive access passes to RIIFF main events, including the annual KidsEye™ International Film Festival and to the opening night of the Annual RI International Horror Festival in October. For more information, go on line to www.RIFilmFest.org or call 401/861-4445. Enrollment is handled on a first-come, first-served basis.